Cees 't Hart has led Carlsberg through an efficiency drive that has become "a way of living"
It's always good to have a plan. The recent financial history of Carlsberg involves a few plans with capital Ps. 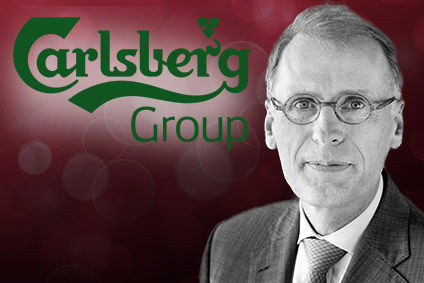 The group's most recent results, for full-year 2018, mark a transition from the end of the costs and efficiency-focused 'Funding the Journey' era to the first fruits from 'SAIL '22', a programme designed to generate sales growth through brand investment, with craft, speciality and no-alcohol beers playing significant supporting roles to the main Carlsberg and Tuborg cast leads. In early-2019, CFO Heine Dalsgaard told analysts that Funding the Journey had "exceeded our initial expectations" in delivering underlying profits growth of DKK3bn (US$451.4m) since 2015 through "value management, supply chain efficiency, operating expense efficiency and right-sizing of the businesses". Funding the Journey's exit and SAIL '22's move to centre stage doesn't mean an end to achieving cost savings where appropriate to drive profits, he added, with the programme embedding a business culture to "ensure that Funding the Journey as a mentality and way of living will stay in the organisation". Closures of a host of breweries in China and Russia have swept away costly production over-capacity and tightened the supply chain, while executives have had to get used to a little less luxury in their business travel. As a result of all this, the old maxim that less is more has proved accurate in Carlsberg's case over the past five years. Sales of DKK62.5bn in 2018 represented a lift of 3% on an annual basis but were down on the DKK64.5bn generated back in 2014. Yet, 2018 operating profits before exceptionals were actually ahead of 2014 by DKK99m. Pre-tax profits of DKK8.5bn were posted in 2018, a significant improvement from DKK6.7bn back in 2014. It's not all been about leeching out costs, however, and the latest full-year figures show exceptional growth for several brands and regions. So, what is Carlsberg doing well and where does it still have room for improvement that other brewers might be able to exploit? Taking ownership of the beer market in Russia, Europe's biggest sales territory, was the big prize when Carlsberg achieved outright ownership of Baltic Beverages Holdings in 2012, having initially bought in six years earlier. But, Russia has proved an unreliable market in the intervening years, with volatile raw material prices, a turbulent economy, high taxes and government regulation making it an increasingly tricky place to do business for global beverage groups. Last year brought the fillip of the FIFA World Cup staged in the country, but even this didn't have the full halo effect that the Danish market leader might have yearned for, with heavy promotional investment by Anheuser-Busch InBev for Budweiser, the tournament sponsor, giving the competing brand centre stage in the country through the Summer. Over the course of the past five years, Carlsberg has managed to reduce its reliance on Eastern Europe as a whole - of which Russia provides the lion's share of business - with the region's contribution to overall group sales falling from a rounded-up figure of 22% to 17%. That's come at a cost in the form of lost revenue, which dropped from DKK14.1bn for the region in 2014 to DKK10.78bn last year. This has been largely offset by compensatory growth in Asia, whose contribution to group sales has grown from 19% to just shy of 25% over the same period, with actual revenue in the region up from DKK12.49bn to DKK15.53bn. Both China and India have also provided global drinks producers with regulatory and economic bumpy rides over the past decade, but Carlsberg's most recent figures suggest the company is well-placed to tap into the potential for growth that each country's populations provide. The relatively craft-free environment of those beer markets provides the potential for Carlsberg's global portfolio, with the namesake brand driving growth of 27% in sales in India in 2018, and both Tuborg and Carlsberg contributing double-digit advances to a sales increase of 15% in China. China and India - where the company was ahead of the market with the introduction of the rip-top bottle cap - added a combined 1m hectolitres to Tuborg's volumes alone in 2018. For many years, the mantra for the multinational beer community was about exploiting global brands to the full, in as many international markets as possible. The emergence of craft and the picking-off of the best exponents of it by global players has changed the game in the past five years, but a strong global brewer is still only strong because of its global beer brands. Carlsberg's ownership of Baltika in Russia rendered such an approach there with Carlsberg and/or Turbog restrictive. Where's the sense in sidelining such a dominant local power brand to drive growth in one with a more widely-known international name, just because that's what the rules say you should do? In other markets too, Carlsberg has recognised dominant local power brands as strong assets, backed them and reaped the rewards as a result. Beerlao was the force behind high single-digit growth in Laos in 2018 and has been supported by improved communication and the addition of what Carlsberg calls "crafty line extensions". Feldschlösschen and smaller regional brands were behind positive growth in Switzerland, not Carlsberg or Tuborg. Also, in China, Changqing, Wusu, Dali and Xixia have all performed important portfolio roles alongside the Carlsberg and Tuborg brands in generating sales growth over the last five years. Putting faith in local brands in a global world, however, can carry risks, arguably making them vulnerable to rival international brewers who may want to muscle in with international marketing might on their global flagships. Carlsberg's power base is heavily-tilted towards Asia, Eastern Europe and Western Europe. Both North And South America, however, are relative weaknesses, especially in the face of the might of A-B InBev with Budweiser, Corona and its various Latin American power brands. Even in the speciality beer field that Carlsberg covets, the presence of an in-country infrastructure in the US has enabled A-B InBev to bring dozens of hip, youthful craft brewers into its orbit, hitting the Millennials market that provides the consumer base of the future for beer. Carlsberg has a tie-up with the prestigious Brooklyn Brewery of New York, which has resulted in a number of craft joint ventures in Sweden, Lithuania, the UK and Hong Kong. But, this seems more about bolstering Carlsberg's craft beer portfolio in Europe with a respectable US brand than laying roots for more meaningful participation in the American market itself. As one company executive put it privately: "It's a global brewer … but, at the same time, it's not quite a global brewer." Securing a stronger presence in the Americas in the longer-term would ease the sense that Carlsberg still has too many of its eggs in too few baskets, even though its European business is less heavily-skewed towards Russia than it used to be. With Japan's Asahi on a fast-moving acquisition trajectory in Europe, with a portfolio that now includes Peroni, Pilsner Urquell, Grolsch and the relatively small-scale UK brewers Fuller's and Meantime, this is a region where competition for major accounts is likely to stiffen rather than ease in the near future. Neo-temperance, consumer health concerns and drink-driving laws are all contributing to the growth of low- and non-alcohol beers in many major markets around the world. In these circumstances, it would be disappointing for any brewer to be failing to achieve growth, particularly where they have significant presence in the segment. Carlsberg has demonstrated that it's not enough to just be in the game to have a chance of winning: You need to adapt your game to suit the prevailing conditions. Western Europe led the charge in 2018, with a 33% boost in alcohol-free sales, coming on top of a 15% rise in the region in 2017. Carlsberg 0.0 is the prime mover in the portfolio but the group has also managed to tailor its offer with credible alcohol-free brands in specific markets such as Carlsberg Nordic in Denmark, Munkholm in Norway, Svyturys Go in Lithuania and 1664 Blanc Sans Alcohol in France. In the 12 months, Baltika 0 chalked up growth of 35% in Russia, while a new standalone alcohol-free brand called Birell debuted in Bulgaria and Poland as Carlsberg readied for more expected category growth. Shedding cheapie brands and sacrificing volume to support premium products and price positions has been key to Carlsberg's improved performance in China and parts of both Western and Eastern Europe. Higher group profits and the slight decline in sales over the five years has been accompanied by a fall in global beer volumes from 122.8m hectolitres in 2014 to just 112.3m last year. Volumes fell as low as 107m hl in 2017. There's still work to be done, particularly in the UK. It's no coincidence the country was a notable black mark on 2018 results, and that it's a country where the mainstream beer market in which Carlsberg competes has been driven by a price-led drive for volumes. Carlsberg has by no means been alone in pursuing such a strategy but, by its own admission, has been leaden-footed in trying to address the situation. The 2017 relaunch of the premium Carlsberg Export brand in the territory was a step in the right direction and the main brand is the ongoing subject of a makeover and product reformulation under the name Carlsberg Danish Pilsner. CEO Cees 't Hart told analysts in early-2019: "If you look across all markets globally, the UK business is probably where we are most disappointed [with our] performance. We are focused on improving profitability. Market share loss is mainly driven by a decline in the mainstream segment as consumers are trading up and we over-index in the mainstream. It's a difficult market and it's very important for us that the relaunch of Carlsberg [is] successful." Is Carlsberg crafty enough to exploit speciality trends? Carlsberg has recorded some impressive figures in its drive to grow sales of craft/speciality beer in many of the major markets where it operates. The drive is a central plank of the Sail '22 Plan and the 2018 year-end figures threw up some impressive numbers. Sales from craft and speciality leapt 26% over the year, with Russia, China, France and Poland among the main contributors to growth. Kronenbourg 1664 Blanc sales were up 49% a lurch forward from annual growth of just 9% in 2014 at the start of the five-year review period. It passed the 1m hl mark, while Grimbergen rose 14% on the back of especially-strong sales in France, Denmark and Russia, building on further double-digit growth in previous years. The trouble is every other big brewer is trying to do the same, recognising that Generations Y and Z are looking beyond big global brands to start them on their beer journey through life. Though Carlsberg has made craft a central strategic plank, on the face of it, the Carlsberg portfolio looks relatively thin when stacked up against some of its global competitors. Grimbergen and 1664 Blanc are doing most of the heavy global lifting in the segment, supported by strong local brands like S&R Garage in Ukraine, Valaisanne in Switzerland, Nya Carnegie in Sweden and Okocim in Poland, in an arena where diversity and breadth of portfolio are significant architects of fortune. The presence of Booklyn in its European portfolio is a feather in Carlsberg's cap, but its single craft brewery acquisition in the UK - the previously-shipwrecked London Fields in 2017 - looks second best against those of A-B InBev (Camden Town), Asahi (Meantime, Fuller's and its subsidiary Dark Star) and Heineken (minority stakes in Beavertown, Brixton and the in-house creation of the quasi-craft Maltsmiths range). Carlsberg's figures suggest the group can clearly 'do craft'. The question is, does the brewer yet have enough craft to do so? What will be Carlsberg's priorities for the years ahead? Coming off years of successful cost reductions affected through the 'Funding the Journey' programme, Carlsberg ended 2018 with positive global results in both sales and volumes. Looking forward, several key areas would appear instrumental to the company continuing its winning ways in the future. 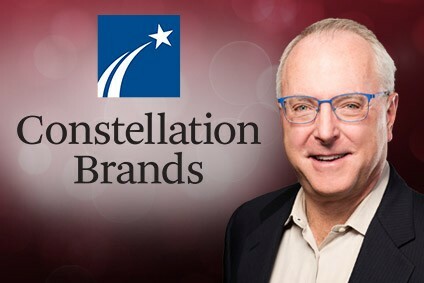 'Funding the Journey' was not intended as a one-off round of cuts, the company says, but rather was meant to foster a new corporate culture of "value management, supply chain efficiency, operating expense efficiency and right-sizing of the businesses." The continuance of this ethos will prove vital to the company's future success as total beer market volumes in Western Europe, Carlsberg's most important market, continue to shrink. In particular, Carlsberg will need to balance future efficiencies with the implementation of its new programme, SAIL '22, which places its emphasis on brand investment. In particular, if Carlsberg is to make headway in the two major markets where presently it lacks a significant presence, North and South America, the group is going to need to spend money that will have to be drawn from elsewhere if it wishes to avoid growing expenses. In 2012, Carlsberg was hailed for successfully assuming full control of Baltic Beverage Holdings and, with it, effective dominance of the Russian beer market. The years since have not quite played out as planned, however, with market volatility and government intervention in the form of high taxes and increased regulation leading to Eastern Europe's contribution to overall company sales dropping by a full 5%. Since further erosion of this important market will make performance goals difficult to obtain, it is pivotal that Carlsberg acts quickly and resolutely to shore up its Russian holdings. As a rapidly-maturing marketplace, this will mean not only growing BBH's Baltika brand, but also further developing the international core brands of Carlsberg and Tuborg, as well as strengthening its presence in the country's fast-developing and largely urban-based craft sector. SAIL'22's mandate calls for the craft, speciality and non-alcoholic beer segments to each play an important role in support of Carlsberg's main brands. Indeed, Grimbergen and Kronenbourg 1664 Blanc have performed well as speciality/neo-craft brands, supported by a handful of local labels and the company's partnership with New York's Brooklyn Brewery. Carlsberg 0.0, meanwhile, has been a strong entry into the growing no-alcohol segment. Where Carlsberg has trailed its rivals, however, is in brands easily recognised as 'craft,' the company's only significant craft acquisition to date having been the UK's London Fields Brewery, a purchase that had many industry watchers scratching their heads when it took place in 2017. Aside from that then-floundering operation, Carlsberg has been remarkably silent on the M&A front, eclipsed again and again by its rivals: Anheuser-Busch InBev, with in excess of two dozen craft brewery acquisitions world-wide; Molson Coors, with just under half that number; Heineken, with eight to twelve, depending on how you define 'craft brewery;' Asahi, with its 2016 and 2017 buy of SABMiller properties, plus its recent purchase of London's Fuller's; and even Kirin, with a small handful in Australasia and the UK. If Carlsberg is going to compete effectively in craft, it is going to need some recognisable players, and for that it will need to find the money to purchase established craft brewers, admittedly a less expensive prospect now than it was in the craft M&A heyday of a few years back. For this, the group might want to further its interest in Brooklyn, perhaps in partnership with Kirin, which already owns 24.5% of the brewer. That will also obviously be dependent, of course, on the New York company being willing to sell. Continued strong performance in Asia, in general, and China and India, in particular, will be vital to the company's future. Fortunately, Carlsberg has strong and established premium segment players in these markets in the form of its core international brands, Carlsberg and Tuborg. To realise its full potential in the world's largest beer market, however, Carlsberg will eventually require supporting players other than the handful of regional Chinese brands currently within its portfolio - as noted, a central tenet of the SAIL '22 programme. As in most of the world's beer markets, the Chinese are maturing as beer consumers, meaning that premium beer sales are rising - good news for a company with a long-standing presence and solid premium brands. Yet, at the same time, logistics are key to Chinese success, which is made much easier when a company can address several different beer segments from a single portfolio, including domestic mass-market and the growing Chinese craft beer sector. Without such brands, Carlsberg risks being overwhelmed by the increasingly-aggressive approaches both Anheuser-Busch InBev and Heineken are taking in China. While much smaller in both total volumes and per capita consumption, India has the potential to be a huge growth market in the coming years. Fortunately for Carlsberg, the company has already positioned itself fairly well here and needs only to stay the course. As a company sometimes seen as "a global brewer (but) not quite a global brewer", Carlsberg's relative weakness in the Americas is a sore point that needs to be addressed. The difficulty, however, is that most markets in both North and South America are: a) Fairly saturated; and b) In volume decline. Add in the dominance - though also declining - of A-B InBev and you have a very tricky situation. Aside from stepping up the marketing of its core brands, one route Carlsberg might want to take would be the purchase of an established regional or significant craft player. Although likely a very pricey move, it's hard to see any other way for the company to establish a presence in a part of the world it has long treated as more-or-less an afterthought.